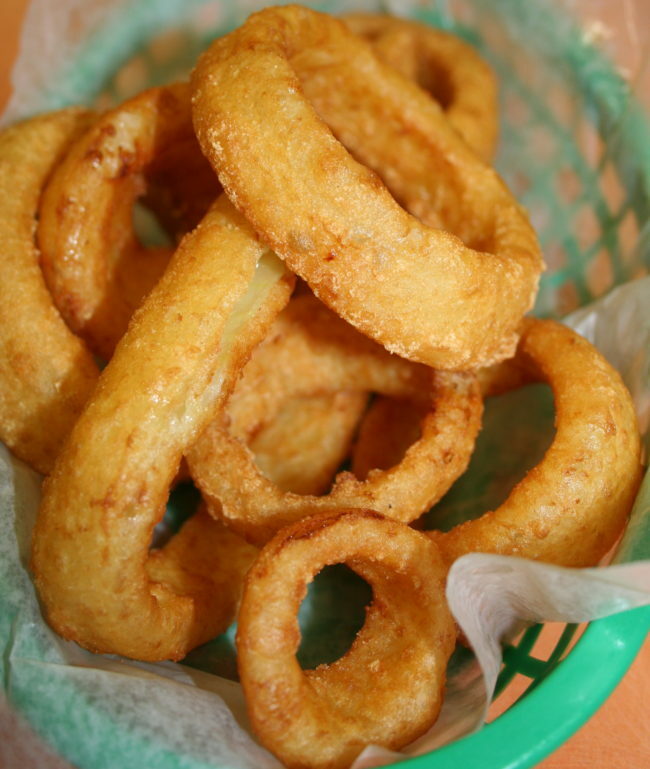 Fried onion rings are generally prepared using flour, milk and eggs for batter to coat onion rings. These rings are very attractive to look at and they taste awesome too. You may serve them as a side dish to main course or serve it as an appetizer as well. This is a Vegan alternative to the original Fried Onion Rings Recipe. Put a large skillet over medium heat with sufficient oil in it for deep frying or heat oil in your electric deep fryer to 180 degrees Celsius. Combine all purpose flour with carbonated water in a mixing bowl and season with salt and ground black pepper. Stir to mix until mixture turns into a smooth batter. Dredge onion rings in prepared batter in small batches so as to coat with batter evenly. Carefully slide batter coated onion rings into hot oil. Deep fry each batch for 4 to 5 minutes or until golden brown. Turn sides often so as to brown evenly all over. Drain onto paper towel lined tray so as to remove excessive oil. Repeat the process to deep fry all of remaining onion rings. Serve hot accompanied with sauce or pesto of choice.